Today at Eurobike, Garmin announced a new affordable power meter option – the Garmin Vector S. Garmin has basically taken their Vector pedal set and packaged a single pedal as a power meter. This is a move following in the footsteps of companies like Stages by offering a left only option. This brings us to an affordable price point of $899, comparable with their competition. Now what is really cool, is should down the road you want to upgrade to the full Vector system, you can purchase the right pedal for $699. 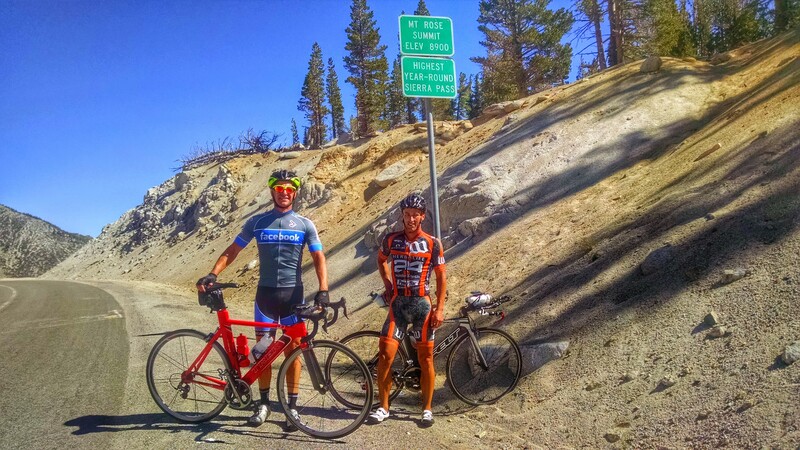 One of the most famous routes in the Reno/Lake Tahoe area is the Lemond Loop. It was a route Lemond regularly trained on. 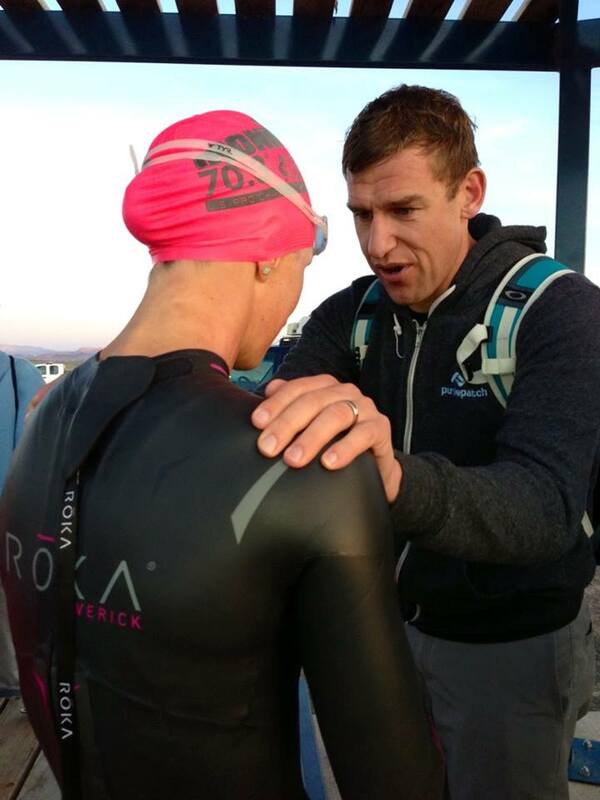 One of my friends Dan who is in preparation for Ironman Lake Tahoe and a few other races invited me up for the weekend to tag along for this ride since we are both racing at Tahoe in just over a month’s time, although I am racing the 70.3. We got up early Saturday morning for a relatively early departure from Truckee to avoid some of the midday heat in the Nevada desert. While the loop typically starts in Reno, we started in Truckee. 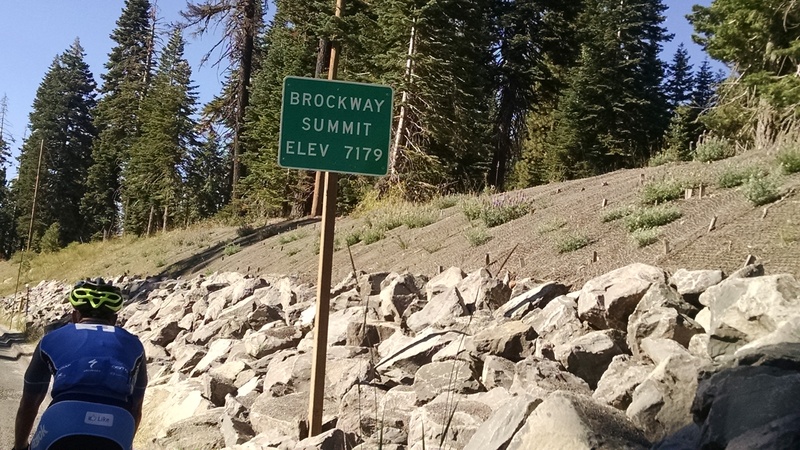 We rolled out about 8:30 and started off towards the Brockway climb which is on the Ironman Tahoe course. After descending down to Lake Tahoe we made our way around the Incline Village and crossing over into Nevada we began our long, roughly one hour long climb up Mt. Rose. Mt. Rose is a Hors Categorie climb (mean hardest categorized climb, above category). The climb is about 9 miles long at just over 5% gradient. The view of Lake Tahoe from up on the climb was breathtaking and peaceful. Mt. Rose is the highest year round mountain pass in the Sierras. It tops out at nearly 9k feet and is just above the treeline. We made pretty good time, and it was going to be a long 20 or so mile descent down into south Reno. The air was rather cool at the top of the climb and as we descended, you could feel the air warm up quickly. After about 45 minutes of descending we made our first pit stop of the day in Galena. I didn’t need much at this point other than some water to fill the bottles and mix up some more Powerbar Perform. After our quick pit stop we started rolling down highway 431 again across town to start the famous Geiger Climb up to Virginia City. 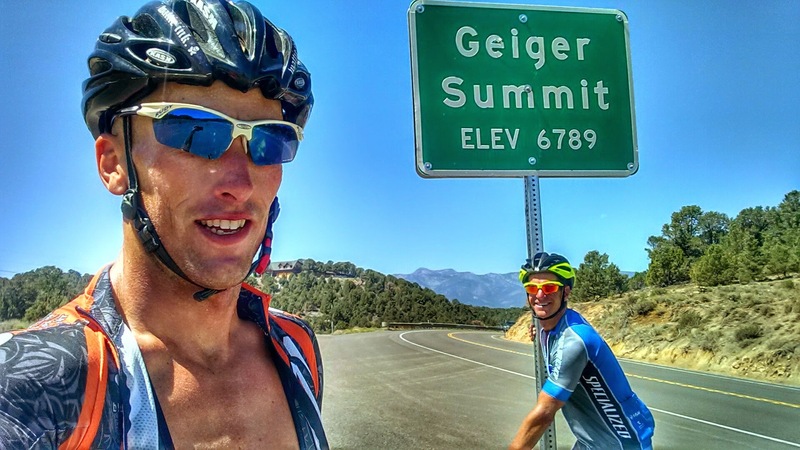 Geiger is a Category 2 climb that is 7 miles long at 5% gradient. This climb is famous for the battle between Andy Hampsten and Greg Lemond during the Coors Classic. The Geiger climb is long and exposed to the sun for the entire 7 miles of climbing. We had some amazing views across the valley of Mt. Rose in the distance from where we came, and some great views of downtown Reno. Mt. Rose across the valley. 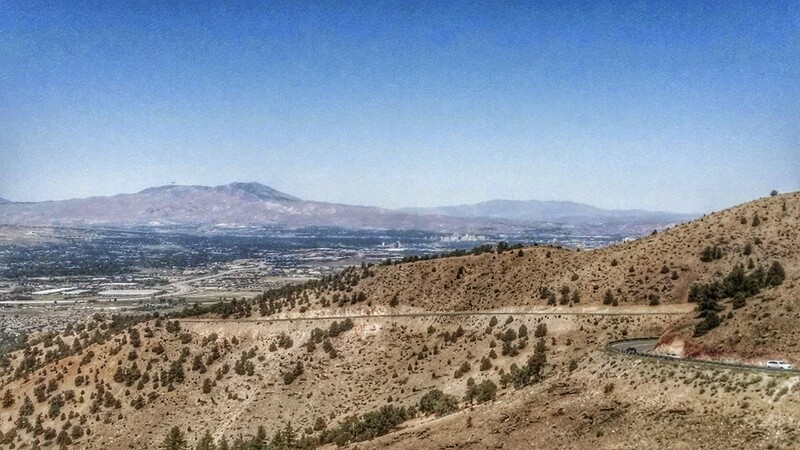 Looking back down the Geiger Grade and downtown Reno in the distance. 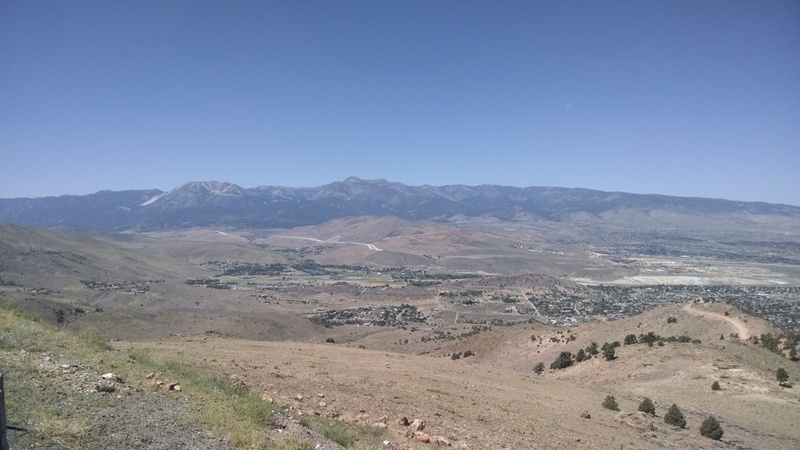 After our climb up Geiger we descended down into Virginia City and kept rolling. 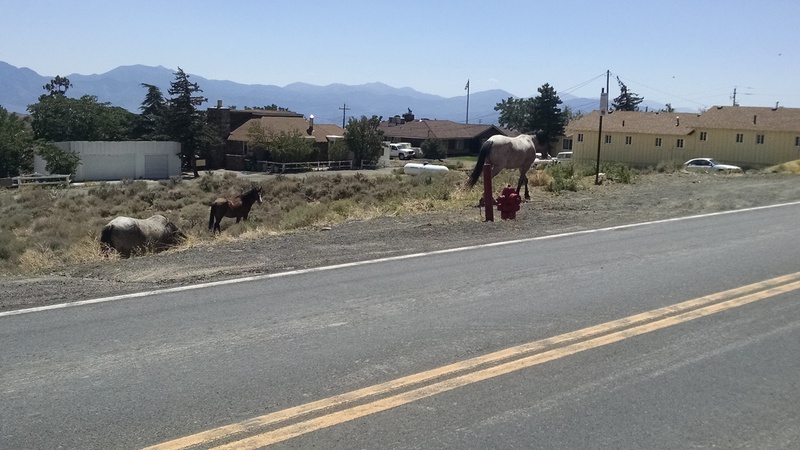 On our way out of Virginia City we came across some wild mustangs. It was such a treat to see wild horses. We kept cruising, but now we were in the hot Nevada desert, and we had about 10-15 miles of solid headwind to fight before we got to Carson City which was our next pit stop. As we rolled into Carson City, my buddy Dan noticed his rear tire was cooked – literally the rubber was toast and the tube was poking through. We found a bike shop about a mile from the Spooner Pass climb and stopped in. The guys at Bike Habitat were awesome. They got us taken care of and directed us back onto our route. 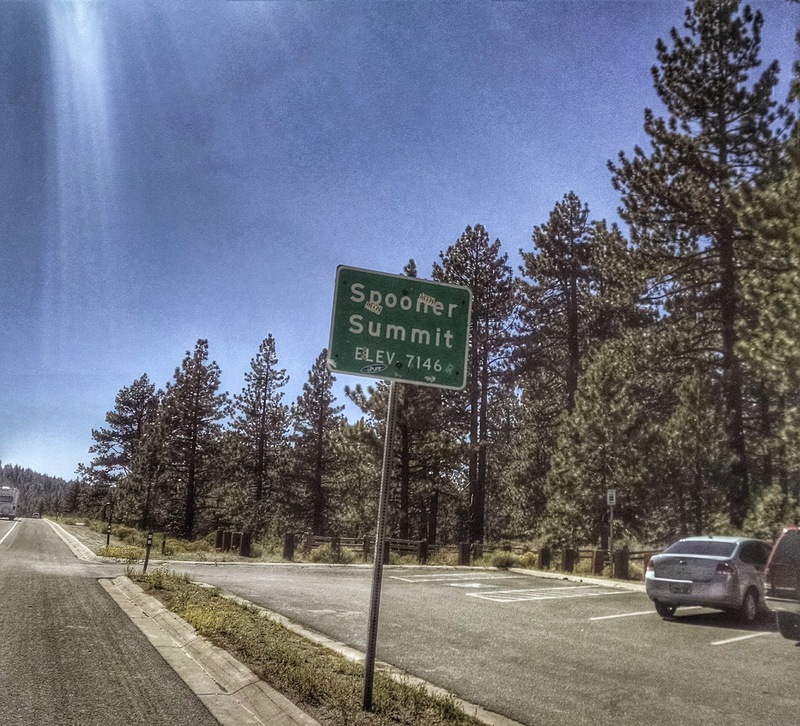 We were back on the road and started heading up Spooner. This is a long 9 mile Category 1 climb at a 5% gradient again, and one that just happen to have a nice headwind the entire way up. I think this is where Dan and I were starting to feel the ride setting in. We were just over 80 miles in and both craving a Coke. Anyway, we continued to muster our might again the grade and wind. Finally we reached the summit and had a fantastic descent back down to Lake Tahoe and the inviting cooler temperatures. We hit lake level and like a horse chasing a carrot I started charging with Dan on my wheel. We rolled back into King’s Beach and stopped one last time, 100 miles into the ride to enjoy a large ice cold coke before charging back up Brockway on our way back to Truckee. All in we finished the ride in just a few minutes over 7 hours. 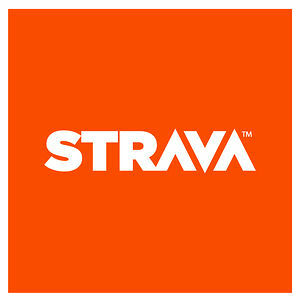 The ride was 115 miles with right at 11,000 feet of climbing. If you ever have a chance I highly recommend doing this ride with some friends. The vast changes in topography, landscape, climates, and towns is nothing short of epic. I have done some rides but this was spectacular. A big shout out to my friend Dan for inviting me along. 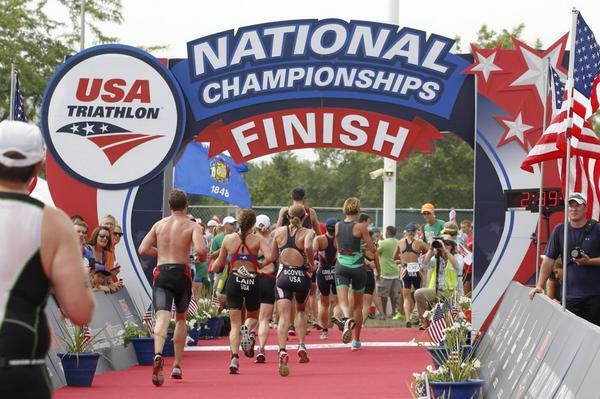 In Part 2, we discussed various ways to obtain your functional threshold (FTP). 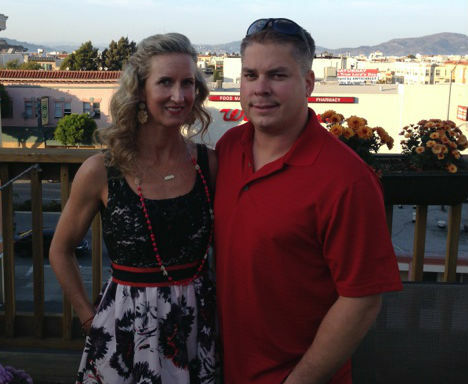 Now we need to put what we know to the test to boost our power and fitness on the bike. We want to see an increase in our benchmark test every 4 to 6 weeks. Below you will find a couple workouts designed to help you increase your power on the bike. Build your FTP by doing this three workouts in order. When one starts to get easy move on to the next one. For each workout perform a 10 min warm-up and 5 min cool-down. Warm up 6 mins at a slowly building pace then do 2 x 1mins at 80% with 1min rest in between. 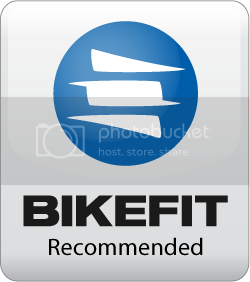 After a round of the above workouts enjoy a recovery block and retest your FTP. Reset your zones and repeat. Remember to train at the appropriate intensities as well in your other rides.